Which Came First: The Objectification Of Sarah Palin, Or The Mistrust In Her Competence? A new study, published in the Journal of Experimental Social Psychology reports that when men and women are asked to contemplate the appearance of an attractive woman, they judge her as less competent. In fact, the experiment was conducted among college students, who were asked to contemplate either the "personal appearance" or "person" of either Sarah Palin or Angelina Jolie last fall. The authors, psychologists Nathan Heflick and Jamie Goldenberg, hypothesized that by focusing on women's appearances, people perceive them as less "human" and therefore lesser. They found that, indeed, once people focused on Sarah Palin's looks, they judged her to be both less competent and less human. We also found evidence that focusing on Palin's appearance led to reduced intentions to vote for the McCain-Palin ticket in the 2008 U.S. Presidential election. Further, perceptions of competence and humanness played a mediating role, such that appearance focus lowered perceived human essence and competence, which in turn reduced intentions to vote for John McCain. When Sarah Palin's nomination was rolled out in August 2008, it was followed by near radio-silence from the McCain campaign as she prepped exhaustively for her RNC speech, given less than a week after her nomination. What that meant, in effect, is that there was a great deal of coverage on her more superficial aspects — including her looks and the parentage of her youngest child. However, given the media's focus on Palin's appearance prior to the election, it is possible that people came to see her as less fully human (more robotic) and competent than they would have without this focus, and in turn, that they became even less likely to vote for her as a result (a more robotic, less competent candidate is certainly less desirable). 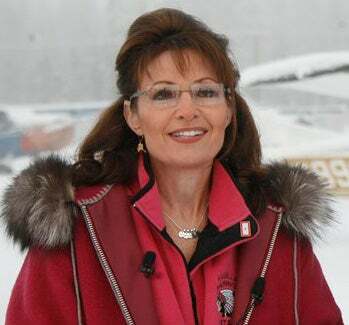 How many times did you call her "Caribou Barbie"? Comment on her looks as an indicator of her competence or intelligence? (Furthermore, how many times did you hear a near-visceral hatred for Palin expressed by people that seemed out of proportion with her role?) Heflick and Goldenberg found that both men and women, as well as liberals, moderates and conservatives, tended to objectify Sarah Palin and Angelina Jolie and judge them less competent when asked to contemplate their looks exclusively. In considering the consequences of objectification, these findings suggest that being objectified affects women at not only an intrapersonal level, but also interpersonally, in ways that affect their real world chances of success. Research documenting that stripping people of their humanity plays a role in legitimizing aggression (e.g., Bar-Tal, 2000; Bandura, 2002) further suggests that objectification may have consequences for women beyond those we have discussed. What that means is that by objectifying her, by eliminating, in their own minds, her humanity, people freed themselves to be more aggressive than they would if they identified with her as a fellow homosapien. Philosopher Martha Nussbaum (1999) speculated about several possible ways that objectification influences perceptions of objectified persons, including females valued solely for appearance. Some of these are directly related to minimizing their competence: denying self-determination, agentic qualities and uniqueness of talents (i.e. they can easily be replaced). Others likely minimize the perception of the individual as fully human, such as denying that their feelings and experiences matter and having less concern when they are physically or emotionally harmed. Sort of like how some people we won't mention continue to beat the drum about the parentage of Palin's youngest child? Maybe you're wondering why most people who objectify Obama sexually (as opposed to, say, racially) don't find him less competent. President of the United States would be). It's sort of what Gloria Steinem said in her (terrible) interview: the myth is that women can sleep their way to the top, but the reality is that you can barely sleep your way to the middle. framework of psychological essentialism, these researchers proposed that people construe certain characteristics as more essential or fundamentally human; and that dehumanization can take the form of perceiving individuals as lacking this human essence. Independent of self-enhancement, people assign more human essence to themselves than others, and this partially reflects a tendency for people to see themselves with more depth and complexity (Haslam et al., 2005). Robots, automata and dolls, even? Were there legitimate reasons to judge Sarah Palin as less than competent for the potential role of President of the United States? Sure. My mouth went agape when she was unable to answer Charlie Gibson's question about the Bush Doctrine, which was a fundamental change to the way in which the United States determined it would use its nuclear capabilities in the world. There seemed to be major gaps in her knowledge of the things that, to me as a voter, I would hope a potential President would know (and that was one reason I didn't vote for George W. Bush in 2000 either). That said, the objectification of Sarah Palin started long before her Gibson interview, and continued (continues!) long after. Certainly her wardrobe update did nothing to take the focus away from her looks, nor did the ways in which the campaign chose to present her (and, here, I'm thinking of her pale pink suit in the Katie Couric interview). This study, however, shows that women and liberals were at least as susceptible to objectification as men and conservatives, and that objectifying attractive women and then judging them as less professionally competent is a deeply ingrained behavior in our society. The more we objectify women, judge them as other, and make them less human, the easier it is for all of us to tear them down and determine they're not good enough. So, the next time we compare a woman to an inanimate object, let's think a little harder about what we're doing and why we're doing it. Smart is not antithetical to pretty. We may not like Sarah Palin or her politics, but it's hard to deny her skills as a politician — unless, of course, we're judging based on her looks.